This video clip is a preview of the 2-DVD Set, Saint Germain on Alchemy by Elizabeth Clare Prophet. 2.5 hours, $29.95, #DVSETP09004. 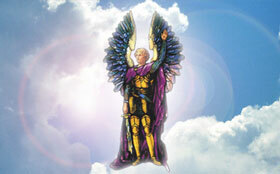 “Our particular subject this evening is Saint Germain's teaching on alchemy. The alchemy is the all-chemistry of God, and it is a science that enables us to understand that there is not only a Universal Christ but a universal light, a universal power, wisdom, and love which is our heritage. We ought to have the fullness of the abundant life that Jesus came to vouchsafe to us to remind us of our ancient heritage in past golden ages in the higher octaves of light and in the Central Sun. “We're going to talk about, then, Saint Germain's nine steps to precipitation which he teaches in his wonderful book on alchemy. We've put together four of Saint Germain's book in the little book that you have seen, and it is truly my great joy to be able to bring to you his message. 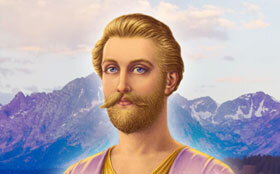 The message of Saint Germain is one of the universe, the message of Saint Germain is one of the revolutionaries of the spirit of East and West of all ages. Many of us are in new-age movements and have pressed on and had the courage to desire and to seek more than we have been told, whether in religion or in politics or what has been handed down to us as the way things are supposed to be on this planet, but they quint, aren't quite that way. 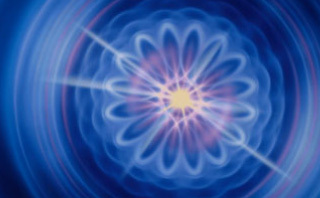 And we know that they should be that way and we know that there is a tremendous sacred fire within us all which, when united together, can truly stop what appears to be a downward spiraling of civilization, misuse of nuclear energy, and people not able to control the conditions of life, their circumstances, forces of nature. Somehow we know we were ordained to have the dominion of God in us from the beginning, but there is a certain sense of helplessness that I find as I travel around the world. Sometimes it is a cynicism. Sometimes it is a fear of those things that may be coming. This fear is pressed far beneath the subconscious. So I said to Saint Germain, “What is this record in these people? What has happened on this continent?” And he showed me a very, very ancient time when there had been a nuclear holocaust on that continent. We don't think in those terms today. We think that civilization is, at best, 5,000 years old. And yet, we are told that Atlantis sank 11,500 years ago or more, and then the lost continent of Lemuria that was there for hundreds of thousands of years, and before that pre-golden ages, and then before that in the etheric octave. We have been through a long history of this earth, many of us. We contain that ancient memory. And even though we might not have been in embodiment, we sense so much being part of all life that it is though something of ourselves evolved through the cells and through the waters and through the air and through the earth. We are, then, at a moment of tremendous opportunity, having come to this place where the knowledge of God's light and the new age is dawning. There is a moment, a moment in history when, as never before, we can play a part that can make the difference. We are especially gifted by being on this North American continent by having a history of freedom and a tradition in our Judeo-Christian religion of those who fought and won their freedom and counted not the cost and did pay the price. We are at a moment when all of this could be lost or all of this could be the fire to literally devour the spirals of degeneration and death and the forces that assail, whether our youth or our children or our own hearts. This is the great message of Saint Germain. It is not a new message but it is indeed a new opportunity. 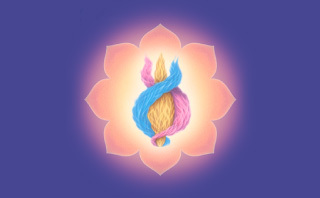 Saint Germain on Alchemy goes Digital!